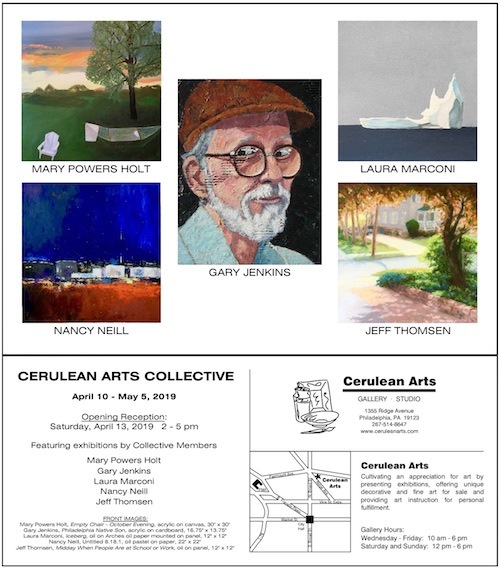 Cerulean Arts Collective Members Gallery, Solo Series, April 10 - May 5 2019, opening reception on April 13 from 2-5PM. GoggleWorks Center for the Arts 12th Annual Juried Exhibition. 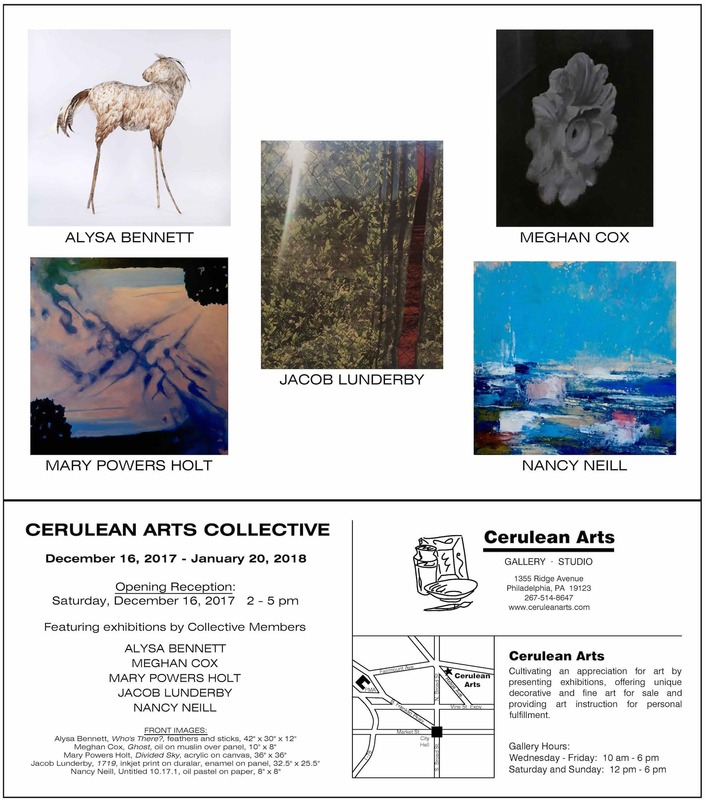 Solo Exhibition in the Members' Collective Gallery from December 16, 2017 to January 20, 2018 - Opening Reception Saturday December 16 from 2-5 PM. Media Arts Council Gallery, Media PA "Fresh Hues" An Exhibition about the Change of Seasons, juried by Alice Beamesderfer, Philadelphia Museum of Art. May 11 - June 3rd with an Opening Reception on May 13 from 4-6PM. Drawn From Nature, 11th Annual Juried Art Exhibition, John James Audubon Center at Mill Grove, April 8 - 23, 2017. Opening Reception on Friday April 7, 2017 from 5:00PM to 8:00PM. Tickets for the reception at the door $10 and $15 for two. Proceeds benefit programs at the Audubon Center at Mill Grove. Main Line Art Center, Haverford PA "Professional Members Exhibition" Juried by Ross Mitchell, Director of the Barnes-DeMazia Education and Outreach Programs for the Barnes Foundation. January 13 - February 11, 2017. Opening Reception January 13 from 5:30-7:30PM. Maryland Federation of Art, Annapolis MD "Strokes of Genius" October 28 - November 26, 2016. Opening November 6 from 3-5 PM. "Dear Fleisher" 4x6 inches of art, Exhibition and Sale to Benefit the Fleisher Art Memorial, November 20th from 1-5PM with a preview party on November 18th from 6-8PM. September 16 to October 14, 2016. The Opening reception is on Friday, September 16 from 5-8 PM. On September 18 at 2PM there is a Gallery Talk and Awards Presentation by Juror Jennifer Samet. Address: Oxford Arts Alliance, 38 South Third Street, Oxford PA 19363. Art on Avenue of the States, Chester PA -Landscape and Photography Show. Sept. 16 - Oct. 28, 2016. Awarded second prize by juror Lauren Litwa Holden.